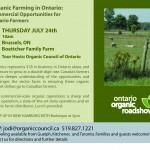 OCO will at Whole Foods Market Square One in Mississauga for the 5th stop on our 2013 Speaker Tour: The “O” Word: Demanding Organic for Health. In this presentation Jodi Koberinski helps answer the much debated question about whether organic offers significant health benefits and demonstrates why organic should be a part of your personal health strategy. Jodi address’ the latest wave of “anti-organic” press that has filled the media and prepares the audience to walk away with a greater understanding of the value of organic agriculture and food as well as being better equipped to critically evaluate information that is presented in the media in order to make informed decisions. Jodi Koberinski has made a career of transforming food systems as an entrepreneur and as an advocate. A pioneer in small scale organic processing, Jodi has experience with product research and development, certification, organic sourcing, marketing and business planning. Jodi has served on numerous working groups and Boards including Certified Organic Associations of BC, Small Scale Food Processors Association, Food Secure Canada, and Sustain Ontario. 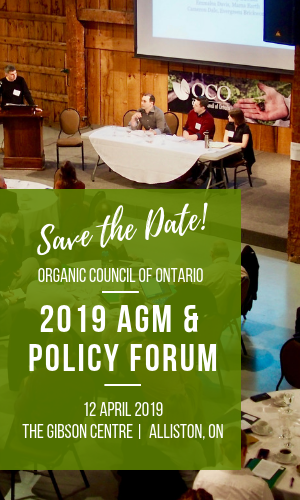 Recently, Jodi was invited to join the Organic Value Chain Round Table based on her diverse experience and contributions within the organic sector, and has served as Executive Director for the Organic Council of Ontario since 2009.